The accuracy of MRI for subscapularis tear is lower than that of overall rotator cuff tears. Until now, no systematic reviews and meta-analysis have been conducted to compile these data. 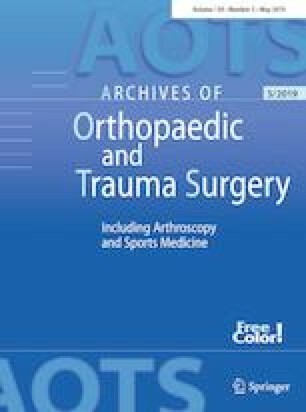 The purpose of this study was to determine, through a systematic review and meta-analysis, the diagnostic accuracy of MRI in the detection of subscapularis tendon tears. A systematic review of PubMed, EMBASE, and MEDLINE databases up to April 2017 was performed. All studies assessing the sensitivity and specificity of the MRI (index test) compared to arthroscopic surgical findings (reference test) for subscapularis tendon tear were included. A meta-analysis was performed to calculate pooled sensitivity, specificity, sROC curve, and diagnostic odds ratio values. A total of 497 citations were identified. After applying the eligibility criteria, 14 articles were included, including 1858 shoulders with 613 subscapularis tears. For overall subscapularis tears, sensitivity was 0.68 (95% CI 0.64–0.72) and specificity was 0.90 (95% CI 0.89–0.92). Sensitivity was 0.93 (95% CI 0.83–0.98) for full-thickness tears and 0.74 (95% CI 0.66–0.82) for partial tears. Specificity was 0.97 (95% CI 0.94–0.98) for full-thickness tears and 0.88 (95% CI 0.85–0.91) for partial tears. Analyzing only studies with field of strength ≥ 1.5 T, sensitivity was 0.80 (95% CI 0.76–0.84) and specificity 0.84 (95% CI 0.81–0.87). MRI is an accurate method for diagnosing subscapularis tendon tears; however, its accuracy is lower than that of overall rotator cuff tears, due to its lower sensitivity. III, systematic review of Level II and III studies.